Based in the San Francisco Bay Area, SatNews Publishers is proud to annually host the Satellite Innovation Symposium and SmallSat Symposium. Founded in 1983 SatNews is a leading provider of satellite events, news, publications, research and other satellite industry information in both commercial and military enterprises worldwide. Rapidly evolving technology coupled with mergers and acquisitions are changing satellite market dynamics at an accelerating pace. The Satellite Innovation Symposium aims to pinpoint key imminent market changes that will become obvious in years to come. While infrastructure and capital status have dominated for decades, key innovations will continue to cause major disruptions to the established marketplace. 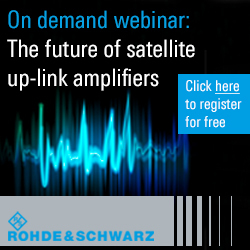 What innovations will define the satellite communications industry going forward? The SmallSat Symposium unlocks the business and financial knowledge required to leverage smallsat innovation and cutting-edge technology into next generation solutions.